A compost pile will help you refresh your garden as well as allowing you to reduce the rate of garbage that you put into the landfills. By taking just a little bit of time out of your day, you can ensure that you never run out of fertilizer and that you are doing your part to help the environment. Even better, when you start looking into it, you will find that a compost pile is much easier to put together than you might think, even easier than building a other composting supplies! Start by choosing a site for your compost that is near to both your kitchen and your yard. Some exposure to the sun is handy, but make sure that it does not get too much light, as this can dry it out. 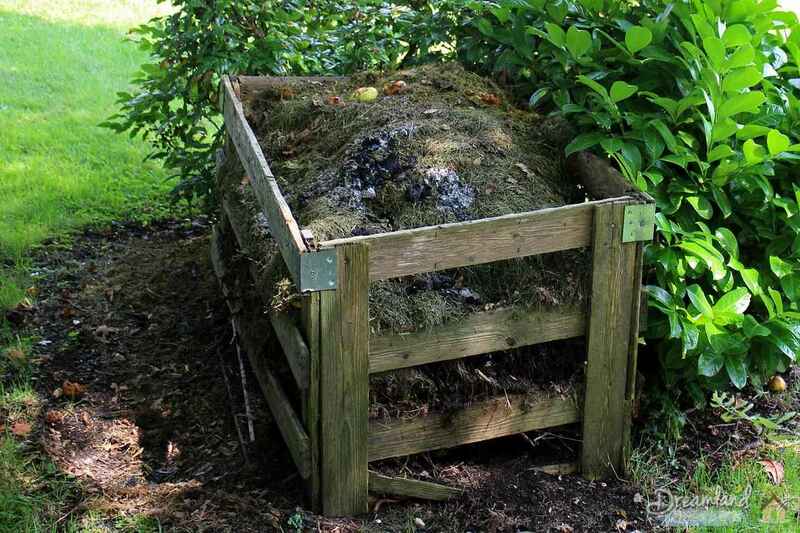 Some people recommend putting your compost pile in the shade of a tree, with a base of concrete or brick to make sure that that tree is not the only one getting the nutrients. Though it is not necessary, a plastic bin can keep your compost contained and looking neater. You can even create a “corral” for your compost pile using stiff wire mesh. Though the bin can be open on the sides, you will find that a roof is necessary to keep off the rain and to keep the compost from getting flooded. Green compost materials are materials that are rich in nitrogen, and they include things like grass cuttings, raw vegetable peelings, tea bags, manure from horses or cows or young weeds without seeds. They will decompose very quickly. Brown compost materials, on the other hand, are rich in carbon and will decompose much more slowly. Some material that are good for brown compost include cardboard, paper, bedding from vegetarian pets, or even sawdust and wood chips. When you go to combine these materials, you are essentially looking for a combination of one part green to two parts brown compost. To get started, start throwing in one shovel of green compost, top it off with two shovels of brown compost and then mix them. Repeat until you have a pile that is roughly three feet high, by three feet wide, by three feet long. A composting pile of this size generates enough heat to break down fairly quickly. Finally, throw on some finished soil compost or some garden soil to help get things going. It should feel like a damp sponge or a wrung out rag. It should also be turned once a week to keep it loose. Within about two months, you are going to have humus, which is the result from the decomposition, and this is going to be perfect for your garden! Take a moment to think about your garden and the waste that you create that can go into a compost pile. This is a great addition to any green-minded gardener’s garden, so see what it can do for you!